Assess cardiac structure and function. 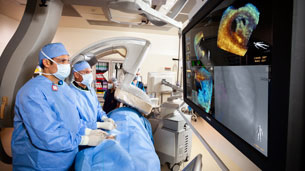 Perform echocardiography-guided interventions. 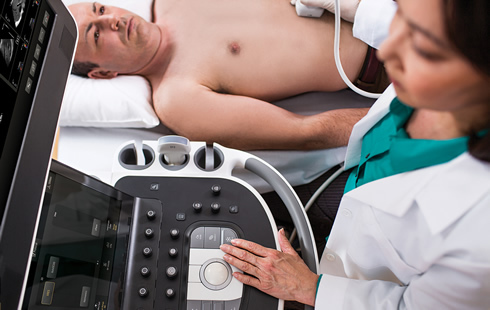 Learn how you can deploy cost-effective and people focused echocardiography solutions to better manage growing patient populations and ever-tightening resources. 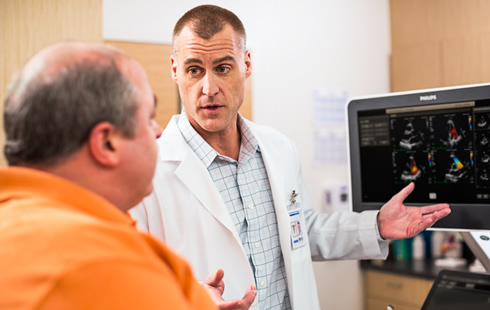 Helping you activate care teams, standardize best practice and streamline workflows – so you can deliver continuous, collaborative and patient centered cardiovascular care. Together, we can create the future and bring to life a cost effective ecosystem. HeartmodelA.I. detects structuers within Live 3D images, and automatically slices, provides views and measures LA and LV volumes, plus EF. 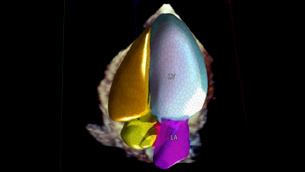 Removing complexity from Live 3D transthoracic echo. Be one of the first to see the HeartmodelA.I. demo video. What is happening at ASE? HeartmodelA.I. in person. Get answers to your questions around workflow and image quality. Hear about HeartmodelA.I. from one of our leading experts. See how easy it is to take LV and LA measurements at the same time. 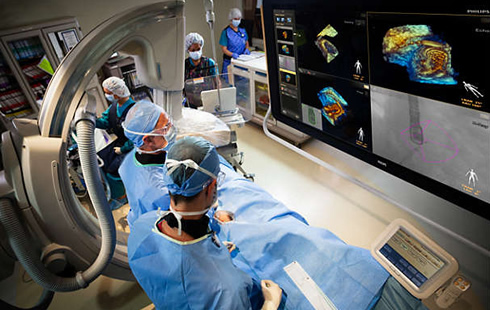 Using Echo Anatomical Intelligence to help meet standards in today’s ecosystem. EPIQ anatomical intelligence promotes faster throughput and consistency. Affiniti is designed to support quality exams and results, supported with clinical training. Automatically fuses live 3D TEE and live X-ray in real time so you can intuitively guide your device in the 3D space more quickly. 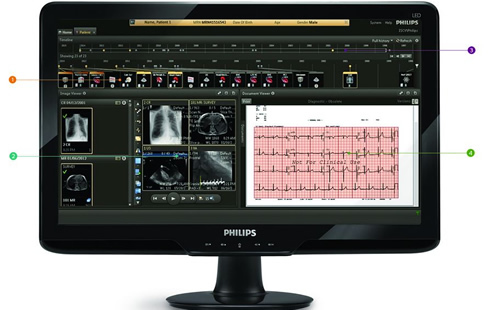 We look forward to meeting you and sharing our latest innovation related to anatomical intelligence from Philips. Disclaimer: Science & Technology Theatre sessions are not part of the official ASE 26th Annual Scientific Sessions, as planned by the Program Committee, or in any way endorsed or affiliated with ASE.